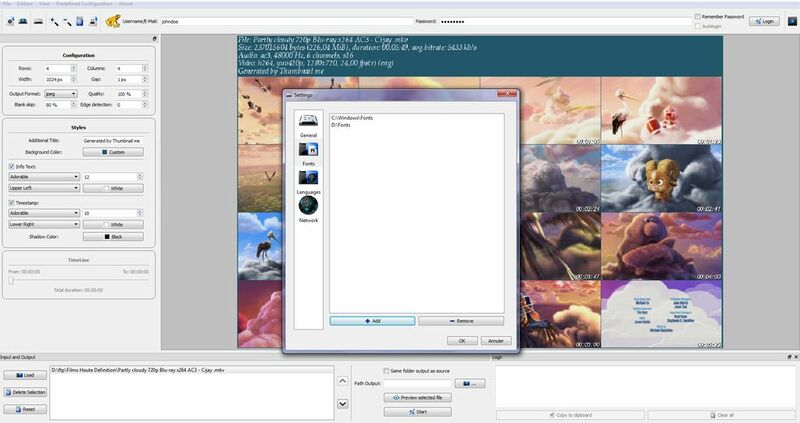 Thumbnail me is an open source software project based on the ‘Movie Thumbnailer’ binary. 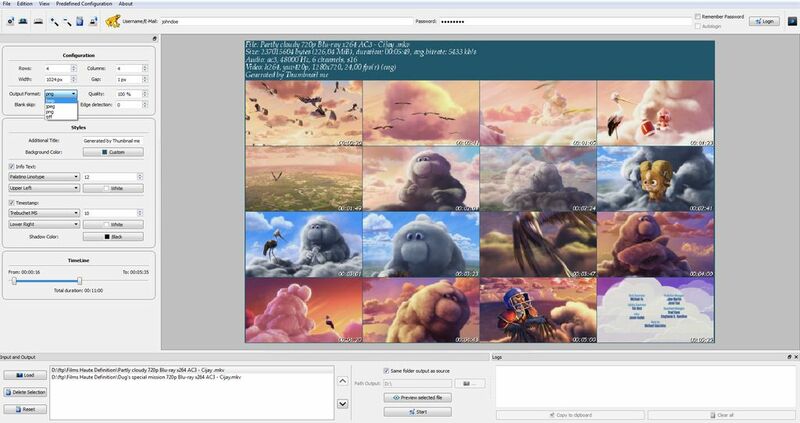 Thanks to a friendly GUI, Thumbnail me lets you convert your favorite media into thumbnails in a few seconds. What’s up in 3.0 version? 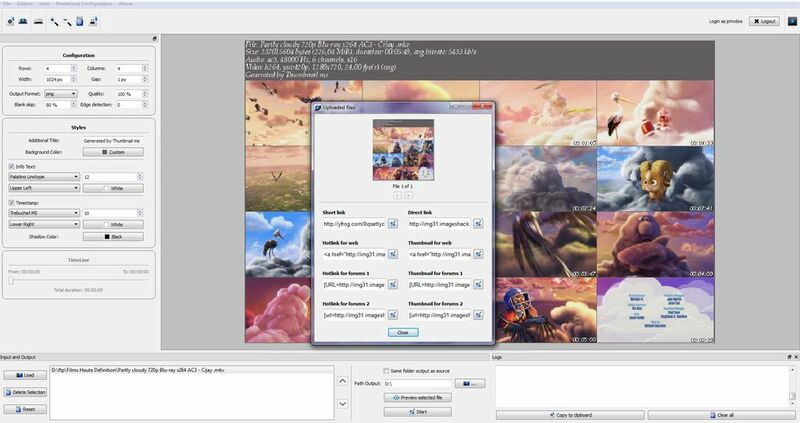 Thumbnail me sourcecode has changed considerably. 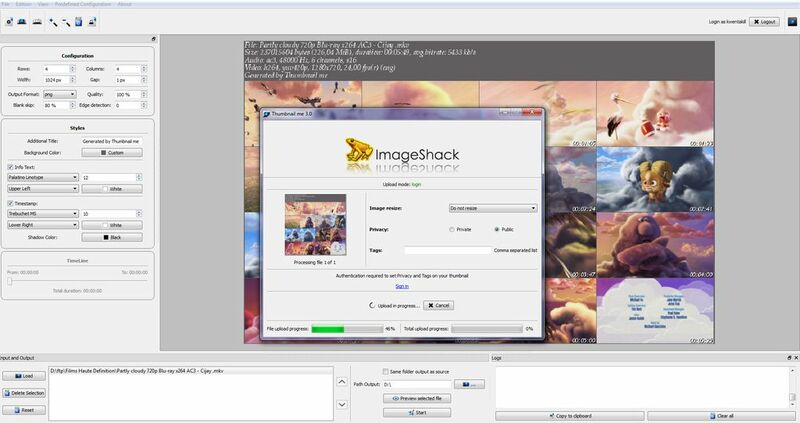 New features like “upload thumbnails to imageShack” or “jpeg, png, bmp, tiff output formats support” are available. All updates are available in the release notes. Help us to support Thumbnail me on GNU/Linux OS with a donation. Your language isn’t available? Help us to translate Thumbnail me. Translation Instructions here. I went with a General Public License because I like the idea of sharing alike, but I would also like to be attributed for the work I’ve put into this. The short version of this license basically says “you can use it for whatever you want, but if you release derivative works based on it give me a name drop”. 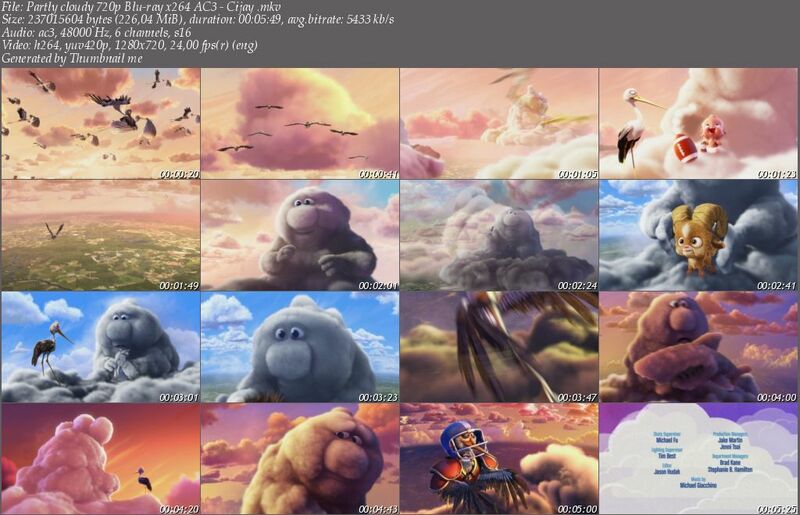 Thumbnail me is a free and open source thumbnails generator built on movie thumbnailer. 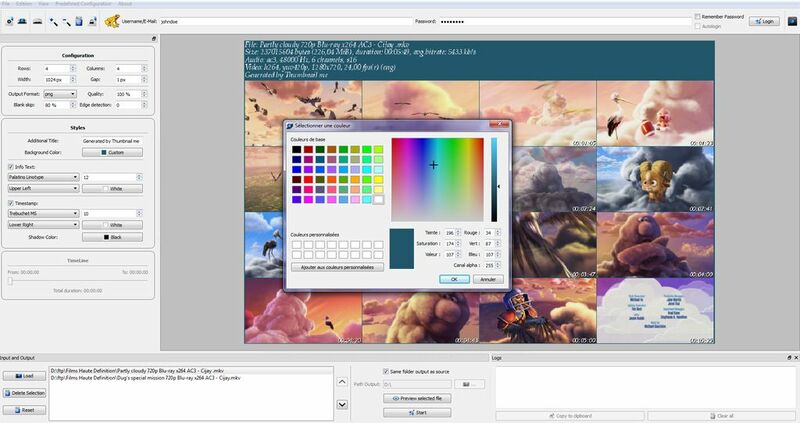 Thumbnail me is coded in C++ and uses the Qt library. This work is licensed under a GNU General Public License version 2 (GPLv2).